OH so cute! 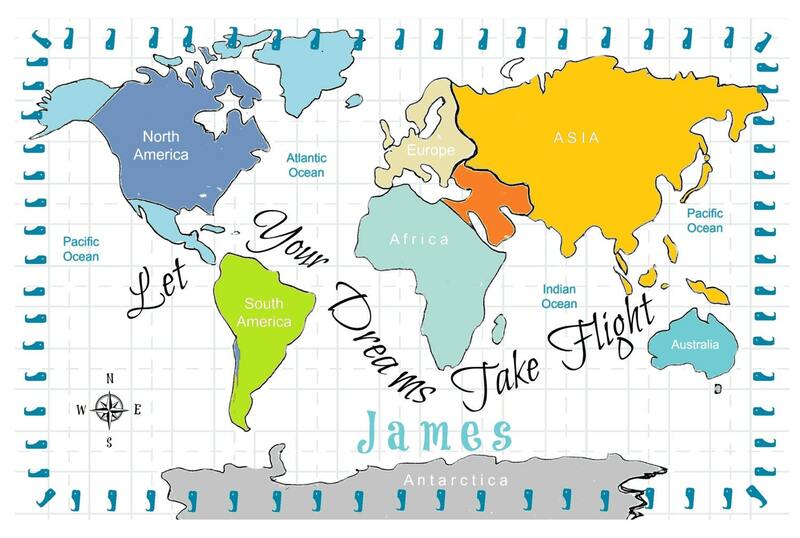 Your little ones will love to see their name on this colorful continental World Map framed with blue dolphins and quote "Let Your Dreams Take Flight" This trendy blanket is 2 layers of super softness & makes a perfect photo prop for your little dreamer! Personalization makes this an extra sweet baby shower & coming home gift. 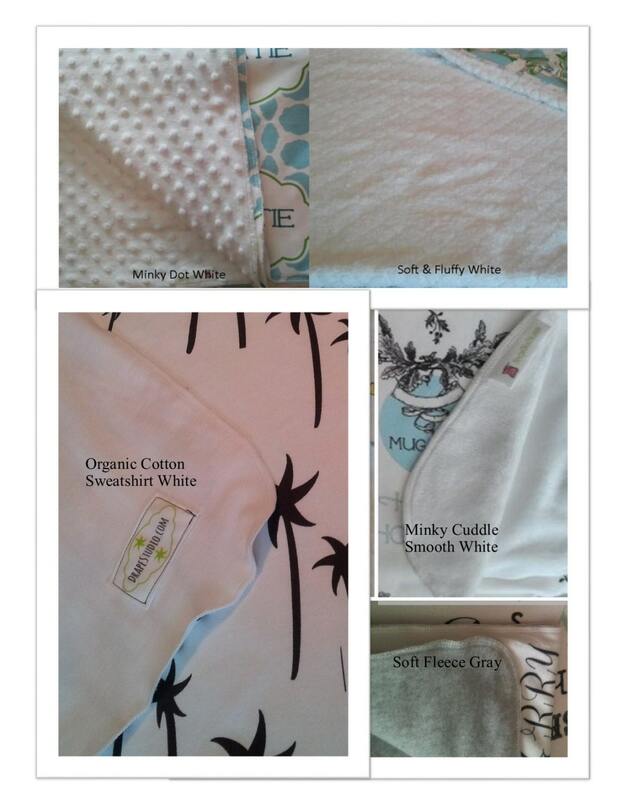 Perfect for nursery, swaddle time, car ride or picnic. 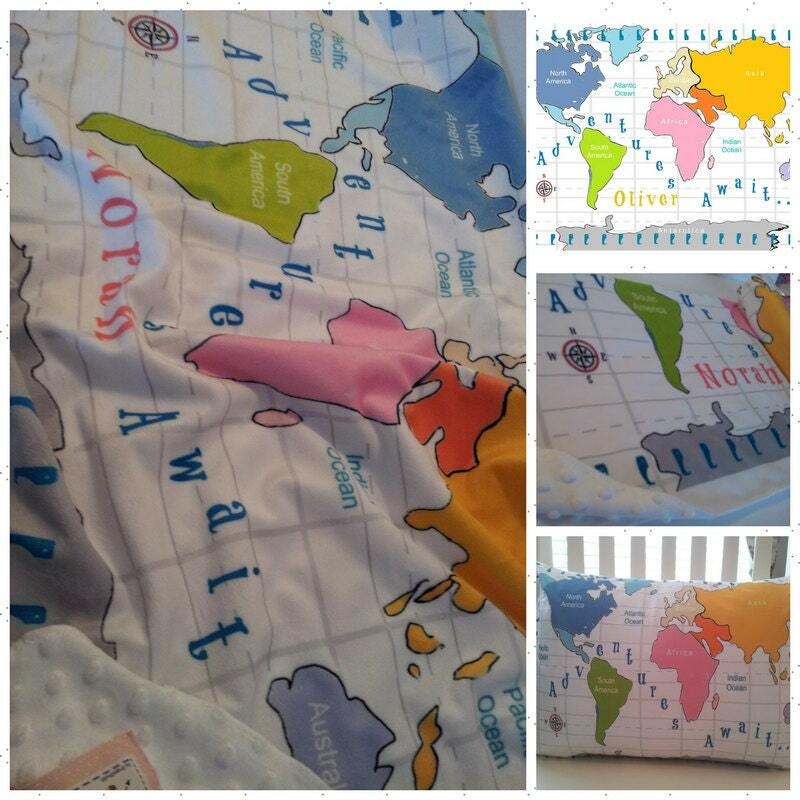 Your little ones will surely love this cuddly colorful map blanket that they can drag along at playtime or use at nap-time and dream of their adventures to come! Larger size is perfect for cuddles & cozy reads with your toddler and kids or building that super duper fort! Toss in the car for picnics or cookouts. Perfect for sleepovers with friends and grandparents. This soft and cozy quilt blanket is handcrafted using your choice of fabrics for the front and back. 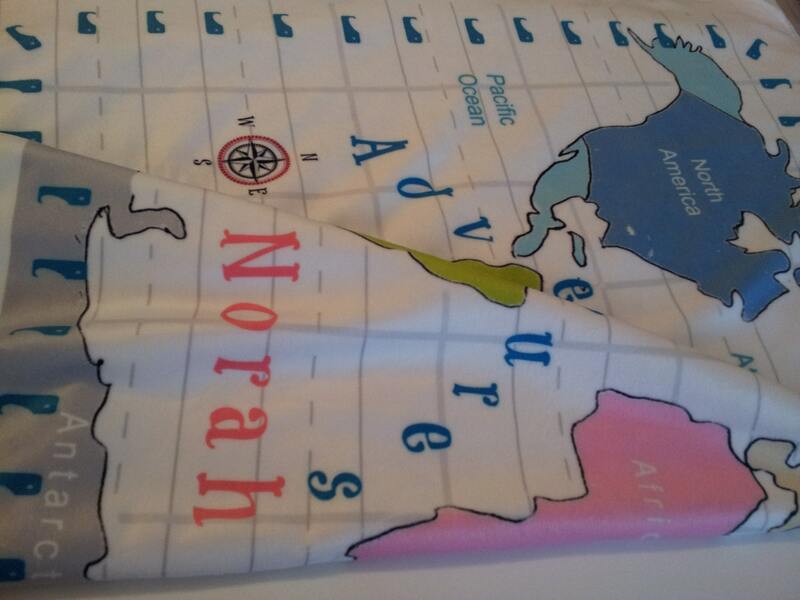 These world map designs are exclusive to Drape Studio and are made one at a time just for you. Edges are serged for a professional finish - if you would prefer top stitched finish, please include in notes to seller. Fabrication time: since this is a custom order, I design the fabric and make the blanket once your order is placed - 3-4 weeks to ship. 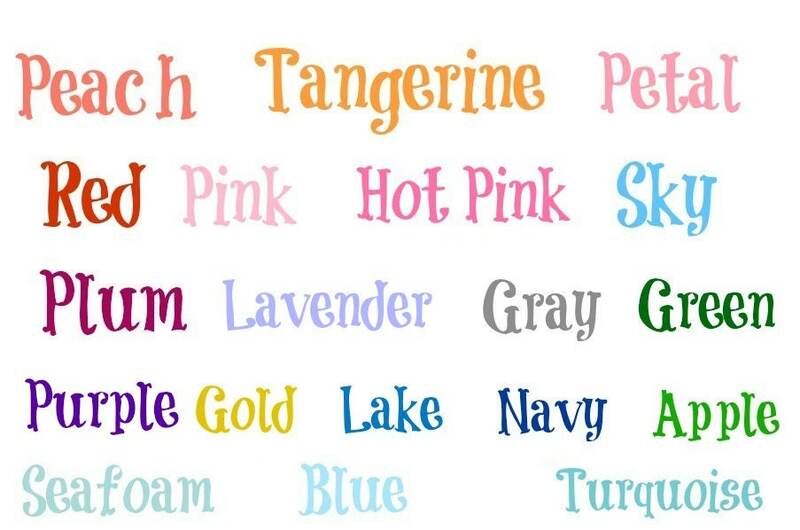 ---> TEXT COLOR - Please include COLOR of your choice in notes to seller!!! We have this in fabric by the yard - contact me for info and we'll put up a listing for you! IMPORTANT!!! - don't forget to include name & color selection in notes to seller!!! !